I'd bet money that the building is the Public Auditorium. 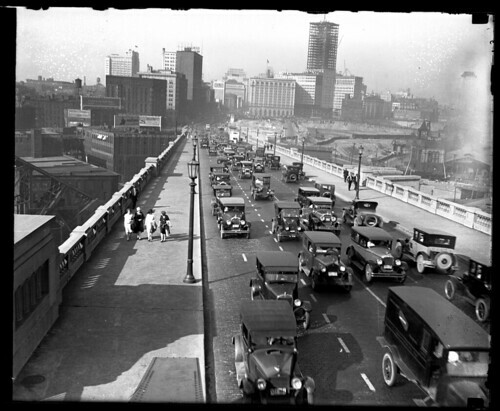 Look how wide the sidewalks on the Detroit-Superior Bridge used to be! I'm with John - it sure looks like that the last picture was taken on the Mall, in front of Public Auditorium. After looking at the street view on google, it most certainly is the west facade of the Public Auditorium, which means that the police officer is in the Mall. Of course we don't think of the facade looking like this anymore because of the soon to be demolished convention center entrance that was out in place; but the east side still looks like this. Thank you all for the identification of the image. I've updated the text to reflect it. It probably is at least one of the last fire department horses. 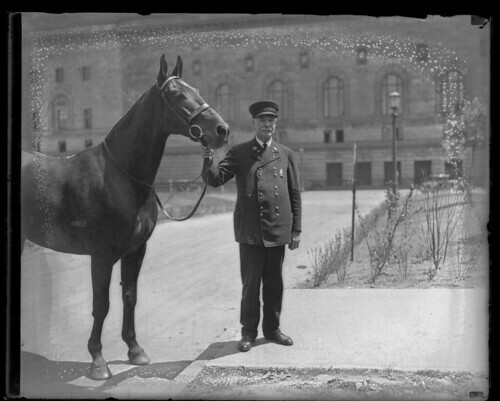 The last line company to be motorized occurred about March 1925 and the absolute last horses in service were retired at headquarters on March 15, 1926 when the water tower was motorized. Saw no pic o0f the Arcade..Did I miss it? I missed it too. Maybe it's in part 2. 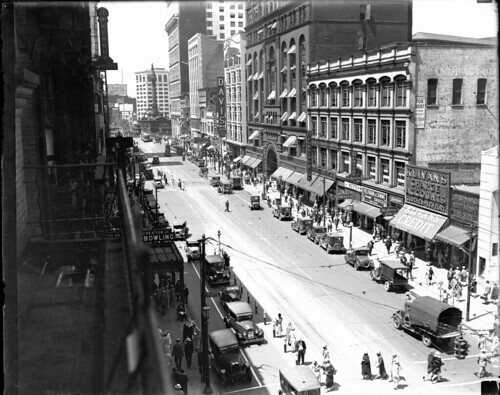 The Arcade is in the second photograph, on the right side of the street, about halfway down the block.